Accidents happen, and sometimes they’re accidents that require a lot of muscle. When it comes to a roll-over, whether it’s medium duty or heavy duty, our fleet is prepared to help you get your vehicle right side up again. From overturned tractor trailers to pick-up trucks rolling down hills, we’ve seen it all in our 40 years of working in Los Angeles. We know that when you’re stuck in a bind, you’ll need a professional towing company in Los Angeles that provides fast, professional and reliable recovery towing services, and that’s exactly what you’ll find when you call Pepe’s Towing Service. No roll-over is too big, or too small, for our highly-experienced crew and our vast heavy-duty fleet of vehicles. Pepe’s Towing Service is known throughout Los Angeles as one of the premier towing companies that specializes in handling heavy-duty towing jobs, especially when it comes to roll-overs. 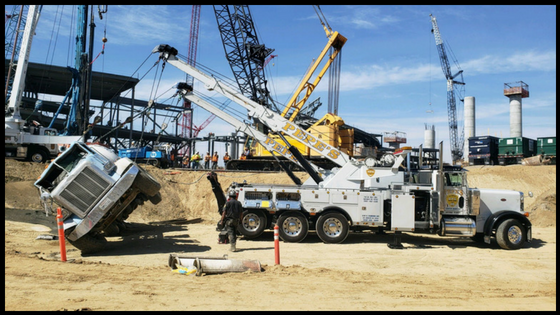 Our professional team of towing and recovery operatives know how to asses, handle and complete even the toughest roll-over and recovery towing jobs. That’s why we’re one of the most trusted roll-over and recovery towing companies in Los Angeles County. Whether you’re in need of one-time roll-over assistance or are looking to add a reliable towing company to your array of service providers, we are ready and available to help 24 hours a day, 7 days a week, 365 days a year. To see some of our latest roll-over and accident recovery work, visit our YouTube Channel or call us at 323-268-1609 to discuss our recovery rates in Los Angeles.